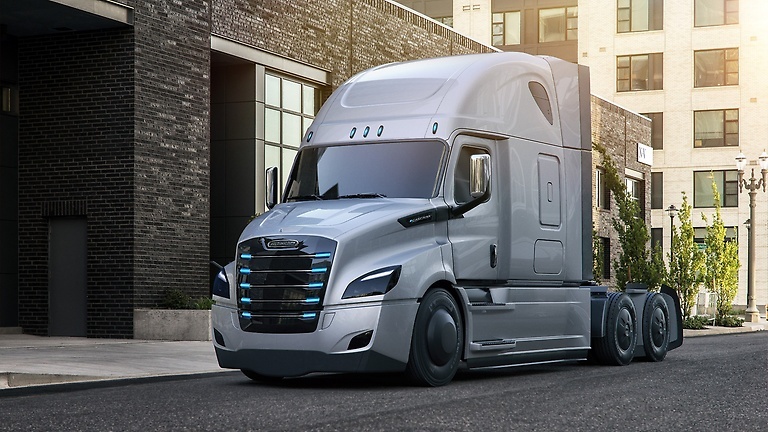 Daimler Trucks North America (DTNA) in December delivered the first vehicle in its newly created “electric innovation fleet’’ to Penske Truck Leasing in Carson, Calif.. 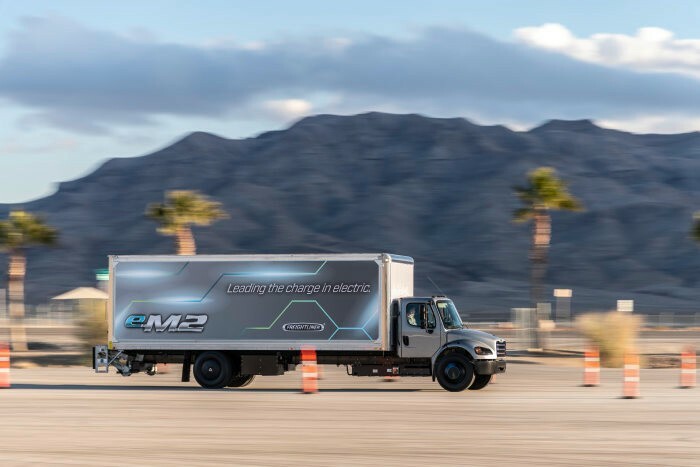 The delivery was the result of a nine-month collaboration between the two companies to produce and test electric commercial trucks in real-world applications. 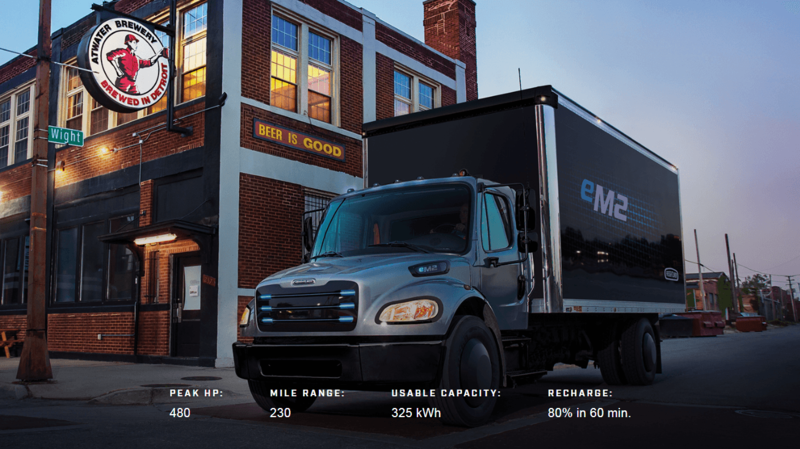 The vehicle is an electric version of the Freightliner M2 106 medium-duty truck, dubbed the Freightliner eM2. 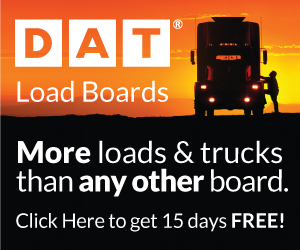 The event marked the culmination of a year of work for Daimler, partially funded by a $16 million grant from California’s South Coast Air Quality Management District, an agency focused on improving air quality in the ports region of Los Angeles. Brian Hard, Penske’s chief executive, said his company plans to take on an additional nine eM2 trucks as well as 10 of the Class 8 Freightliner eCascadia model, which will be launched later this year. The company will offer the electric trucks to customers to use in regular service for one to two years. The reason for the limited offering is that the roll-out is not a full launch of the technology. Daimler referred to the trucks as “Gen 1 vehicles.’’ As part of Daimler’s “e-mobility’’ initiative, announced last year, the company intends to use this limited deployment as a real-world testing ground. 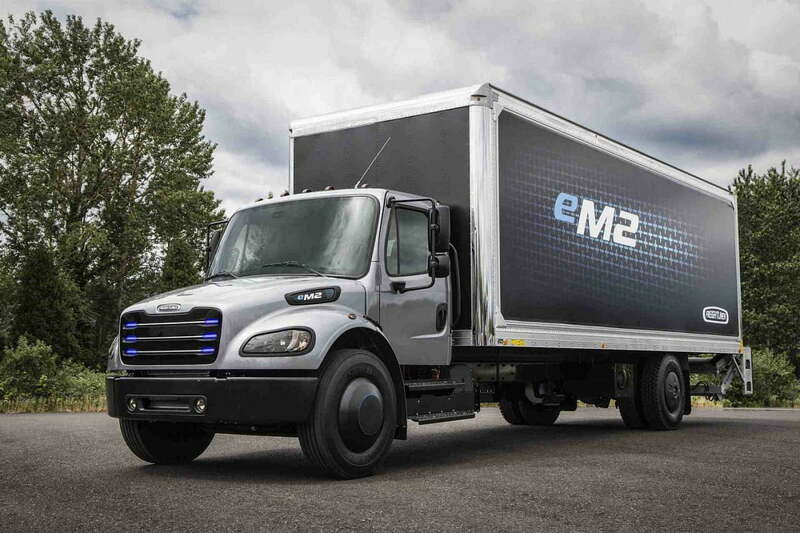 The Freightliner “eM2 project’’ was headed by Andreas Juretzka, who brought together a team of engineers to take the concept of an electric heavy and medium-duty truck from drawing board to reality in a year’s time. It usually takes the company five years to develop a vehicle, according to the company. The eM2 has three large battery packs that straddle the bottom of the vehicle, providing an expected range of 200 miles. The batteries can be charged to 80 percent of capacity within an hour, but need an overnight charge to completely top off, according to the company. Rather than selling chargers to each customer, Penske will have the chargers at its facilities and will provide technicians to work on the unique vehicles. Juretzka said the trucks will be ready to perform and have been tested for safety. He said his team used knowledge it coupled with what other companies have discovered in developing their electric vehicles. 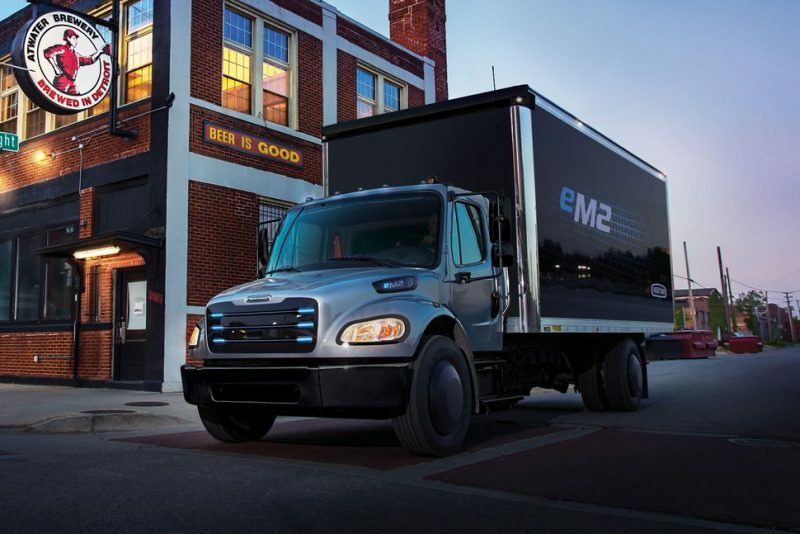 The engine was specified to meet the power needs of a typical medium-duty truck in pick-up and delivery, local distribution, and food and beverage delivery service, with 480 peak horsepower, according to Daimler. But the batteries are the key component, Juretzka said. The company will be using batteries from multiple manufacturers to see which performs the best during the two-year deployment. At the end of two years, Daimler plans to launch its Gen 2 version of the truck, company officials said. Daimler assembled a group called the Freightliner Electric Vehicle Council, composed of 30 customers with strong needs for an electric commercial truck. 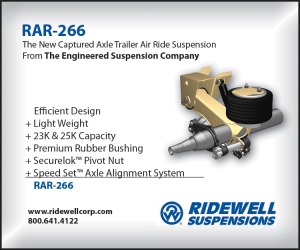 The company is working with council members on the launch of these trucks. Members of the council will benefit from co-development of deployment strategies for electric trucks, including applicable use cases, current legislation and requirements for facilities, charging infrastructure and service support, the company said. “It’s still early days for commercial electric vehicle technology and costs are still three or four times that of a comparable diesel model,’’ Nielsen said.. While component costs are coming down, Juretzka said it is likely too expensive to completely replace diesel trucks without government incentives. 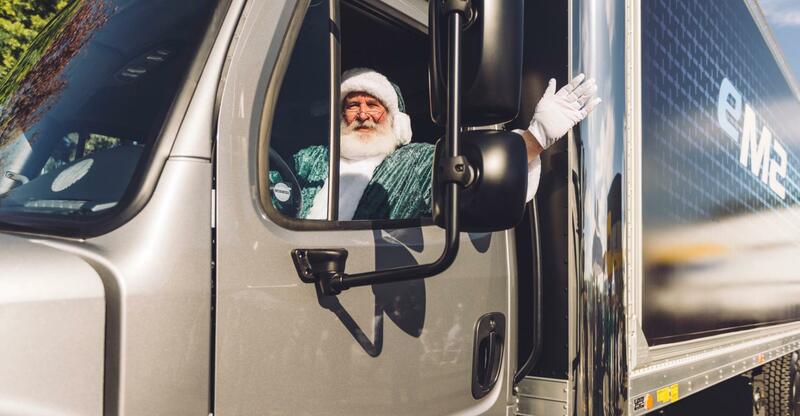 The truck delivery event concluded with Daimler and Penske honoring the eM2 team, all dressed in green and wearing green Santa hats. They loaded small trees into the back of one of the eM2s for delivery to a company called TreePeople. As the first customer of the Freightliner eM2, TreePeople will use the seedlings to help replant the areas in California that were burned in the recent wildfires. The eM2 was driven off Penske’s lot by a man dressed in a green Santa suit. It moved with complete silence, in stark contrast to the constant noise emanating from the nearby highway, a reminder that the coming electric-vehicle future could also cut down on noise pollution.